Hungry in Bangkok? 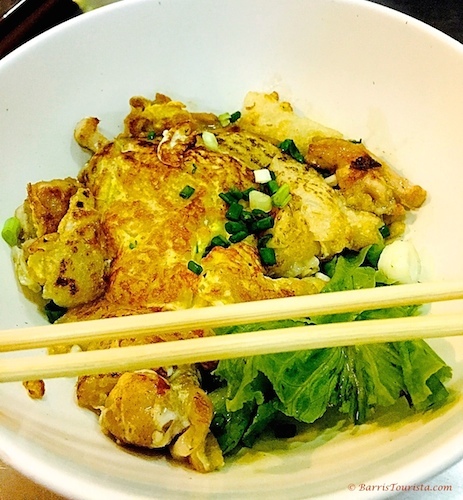 Then Context Travel‘s Bangkok Food Tour is right up your alley. 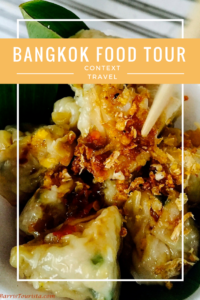 I got a chance to experience this complimentary tour from one of my favorite travel partners Context Travel, on my recent trip to Thailand. I have done four tours now and this is *definitely* one of my favorite tours. 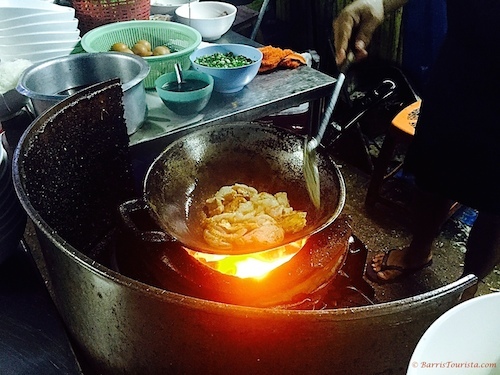 Every foodie who visits Bangkok should take the Context Travel Bangkok Food Tour…here’s why. Look, it’s no secret: I love good food. Look at my Instagram feed. I am a foodie through and through. But I’m not a highfalutin foodie who always has to eat Michelin rated. 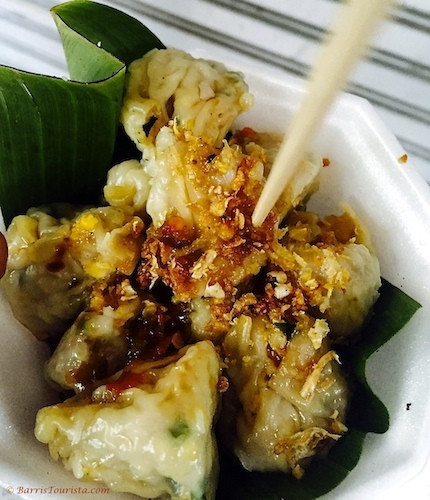 Instead, I love local faves and street food and comfort food…just good food. Seriously good food. It’s why I loved my Paris Market Walk Tour by Context. And trust when I say the Bangkok Buzz foodie tour is all of the above. Now listen. If you are someone gets full after four bites of food (shame!) then this tour isn’t for you. Because you will eat. You will truly enjoy the best that Bangkok has to offer, foodie wise, and you will get full doing it. Seriously full. We were taken on our foodie walk by Gary, a British expat and chef who focused on Thai cooking. When I saw Gary’s picture on the Context website (shoveling noodles into his mouth with chopsticks), I *immediately* knew he was a foodie after my own heart. And Gary did not disappoint! He took us around to his favorite spots in the city, making special considerations for my friend who was vegetarian. Gary warned me that it was going to be a lot of food. I looked at Gary, told him I was ready and could handle it if he could. And let me tell you, we ate. Specifically, Gary and I because my friend got full early and couldn’t hang as long as we could, foodie wise. In typical Thai, monsoon-season fashion, it started to rain. As we navigated the crowded streets of Chinatown with umbrellas, we stopped at a stall for our first foodie item: dim sum. Yum! Gary and I split some pork dim sum and it was marvelous! 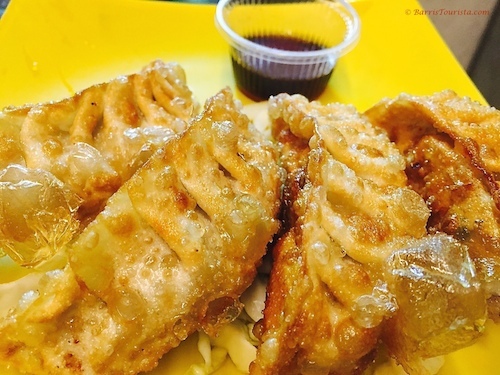 The ingredients were fresh and we took turns grabbing dumplings on the street corner. It was a great way to take advantage of being in Chinatown and start the tour. Gary was able to cater to my friend who is a vegetarian. As we walked, we cut into an alley for an interesting dish. 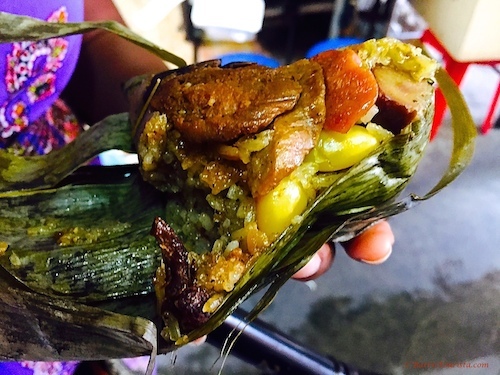 It was a leaf wrapped around various steamed vegetarian delights, like sweet potatoes, rice, beans, and more. I actually tried some and it was delicious! The dish was seasoned impeccably, and it was actually so good I had some and my friend purchased extra to go. One of the more unique dishes that we enjoyed were fried noodles, either with chicken or egg for my friend. The egg was on top, with the chicken, noodles, lettuce beneath. It had a smoky flavor, which Gary explained is due to the wok that they used. He even took us out back to see them making the food, in the alley, fresh on the spot. 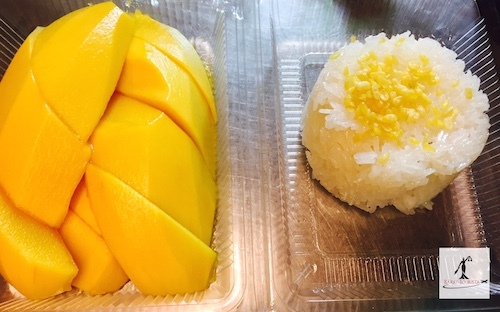 I discovered mango sticky rice in Bangkok and I am still mad that no one told me about this previous. Why? Why has no one told me about this before? This. Dish. Is. Magic. We needed somewhere to eat and all of the tables for that stall were taken. So Gary being Gary grabbed some fried pork dumplings from a nearby stall so we could sit. and me, being greedy, ate some of those too. The beauty of mango sticky rice is in its diverse construction. The sticky rice, paired with coconut milk or sauce perfectly compliments the mango. Add in these crispy things, that I have no idea what they are, and you are in heaven. Gary let us know that it was mango season in Thailand and we were like “game on.” We ate mango sticky rice at least once (and sometimes twice) every day we were in Thailand. It is that good. Tuk tuk time. Gary touted this stall as the best pad Thai in the city. Now mind you, we had already eaten so much. But do you think I was going to pass on the best pad Thai in the city? Challenge accepted. When we got there, the cook was putting on a show, and all of the tables were taken, as it was a super popular spot. Once we finally got a table and our food (pad Thai with prawns), we were not disappointed. The flavors were super rich and the ingredients were so fresh. We devoured the pad Thai even though we had already eaten so much. It was absolutely delicious, and was some of the best pad Thai I had in all of Thailand, hands down. After we ate everything, we took a tuk tuk over to the night market and made our way back to our hotel. The tour was a few hours and we were completely stuffed by the time we made our way back to the Royal Orchid Sheraton. 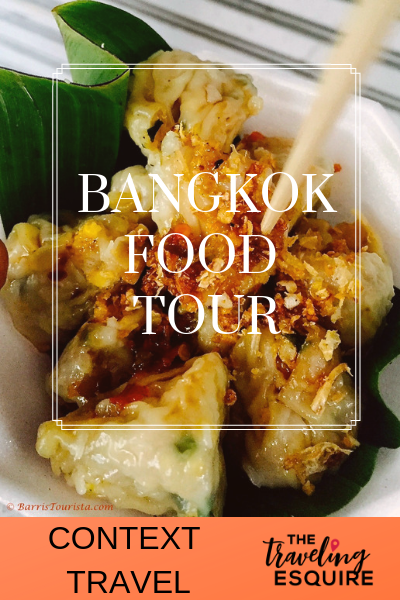 All in all, I highly recommend the Context Travel Bangkok Food Tour. 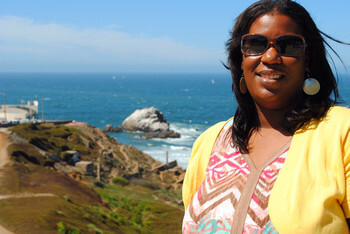 It was absolutely perfect to see various areas of the city, learn about food, eat amazing eats, and walk some of it off. If you visit Bangkok, this is a tour you should sign up for and you will get your money’s worth and leave stuffed. And isn’t that really what it’s all about? This post contains monetary affiliate links. Using these links help support the blog! 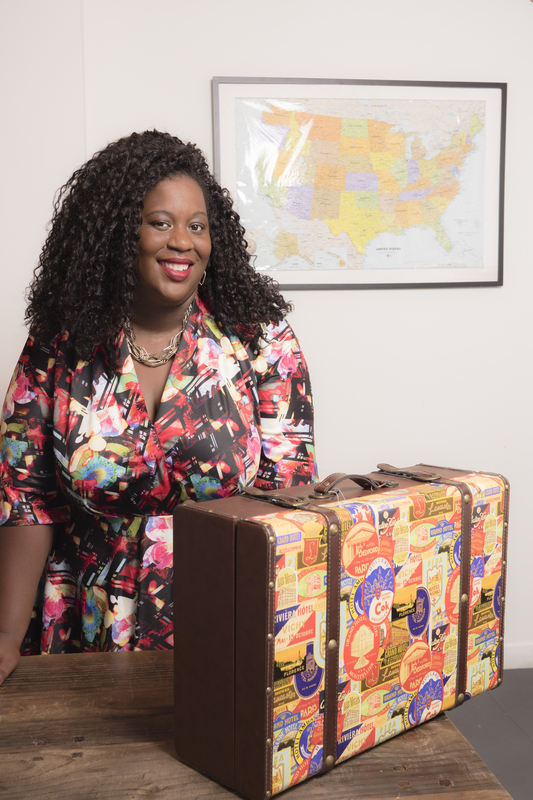 Context Travel sponsored this complimentary tour, but all opinions expressed are my own foodie opinions! I highly recommend it Tomiko! The foodie scene in Thailand is amazing and this tour was a great way to experience a lot of different local delicacies all in one night! I shouldn’t have read this. 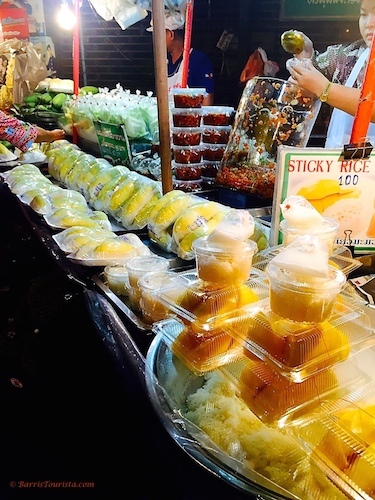 I’m wanting to hop on a plane back to Thailand for the veggie leaf thing and mango sticky rice! Wasn’t it amazing! I am so glad we got to experience this foodie extravaganza! I loved the food in Thailand! Chinatown was amazing! This tour sounds great! It’s great to have someone knowledgeable show you around in a city. I’m now craving Pad Thai and mango sticky rice! Nadeen, yes!!!! I have been spoiled and kind of ruined now with the mango sticky rice! I’ve never been on an official food tour but I would like to. This looks divine and a great way to try lots of dishes. Divine it was, Lauren! Absolutely amazing! 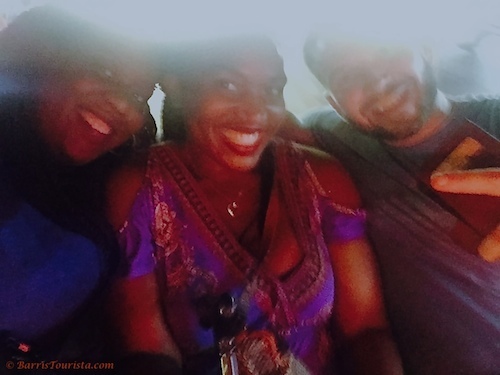 We actually had no problems with the street food…except eating so much that night we could barely move LOL! This food tour looked fun and interesting. I’d definitely eat the mango and sticky rice. I am such a picky eater but a trip to Thailand would me I would have to get over my picky eating ways. That food looks so good. 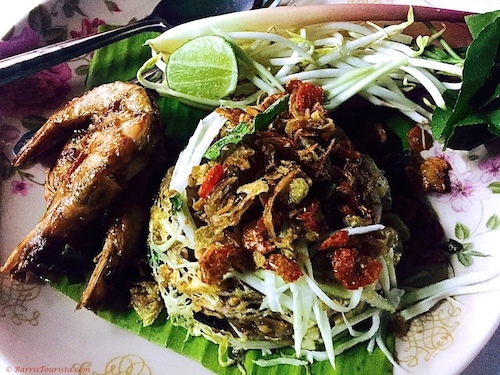 There is no way to not enjoy the food in Thailand! Truly. It all looks so good! The veggie option would be on my list. I’m not a vegetarian, but I know yummy food when I see it! Great photos. I’m here for the mango sticky rice. Two oid my favorite things COMBINED! ? I am mouth watering over here! Everything look super delicious! Me too! It’s making me hungry all over again. I haven’t had Thai food since I have been back because I was so spoiled! WOW! Those dishes look amazing. I want that veggie option and the mango rice. It looks so delicious! Mango sticky rice is my all and all. It was so amazing and the mangos were perfect! Absolutely Chanel! It is a great tour!